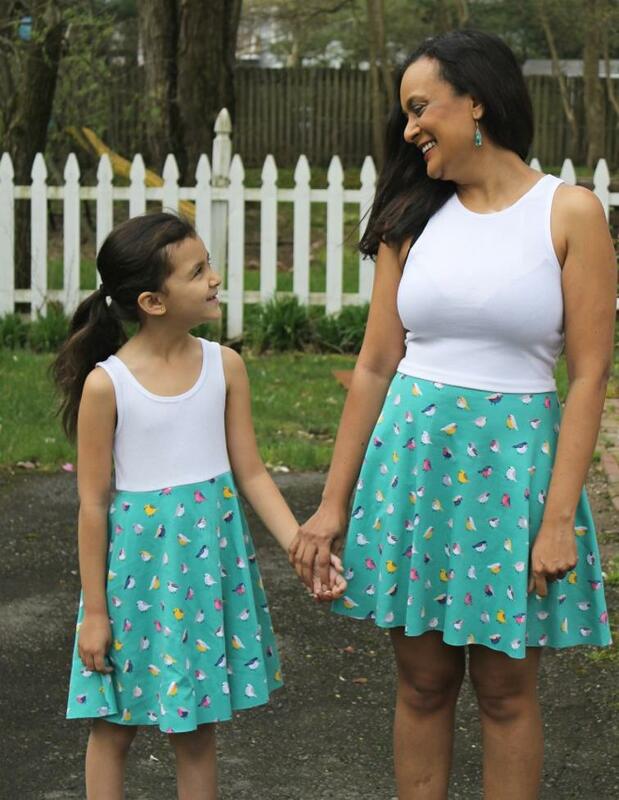 Looking for a quick DIY dress to make this spring? Try this 10 minute skater dress! Make one for everyone in the family. A stretchy tank top (cut to waist length) or crop top. The heavier the fabric of the tank top, the better. Take a look at this Crushed Velvet Dress FREE pattern and tutorial. Looking forward to sewing for granddaughter, great grand daughter and me!! Thanks for perfect dress for granddaughters this summer!